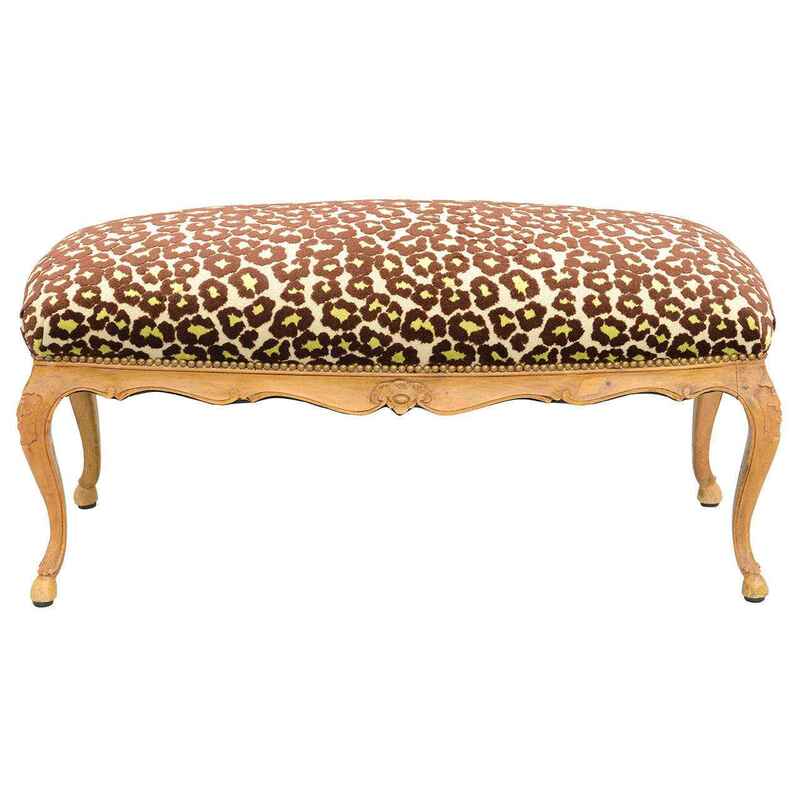 Bench, having crown seat upholstered with sculpted chenille leopard fabric, raised on delicately carved apron and cabriole legs. CONDITION: Excellent. Newly upholstered; swatch available on request. Bench, having crown seat upholstered with sculpted chenille leopard fabric, raised on delicately carved apron and cabriole legs. CONDITION: Excellent. Newly upholstered; swatch available on request.